The eminent Australian poet, Les Murray, has said, “James McAuley, the tough anti-modernist Australian poet of last generation, was a super hymnodist. 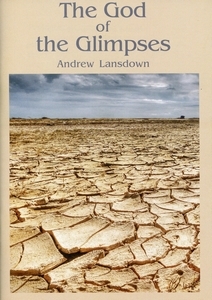 Probably the only greater Australian Christian poet is Andrew Lansdown” (Image, Issue 64, Winter 2009-10). The poems in this short collection, a series of dramatic monologues exploring the life of the prophet Elijah, help to explain why. and the will is soft as wood. and I was loved and lived without care. Oh Lord, grant me a glimpse of your glory! ruffled its feathers and feathered the water. I climbed the ravine and awaited the ravens. like ash—black cinders in a blue sky. left the food and stepped with dignity back. as I lifted the first morsel to my mouth. Bedouins in black robes, hands behind backs. where its larynx wobbled as it swallowed. guzzling the water into their gizzards. Who baked the bread the ravens brought? Who slaughtered the lamb for the meat?